Poor Quality Cell Phone Signal! Install an RF Engineering Cell Booster in your Car, RV, Boat, Home or Commercial Premises. Improve voice and data quality instantly. “Simple to install” Take it with you when you travel. 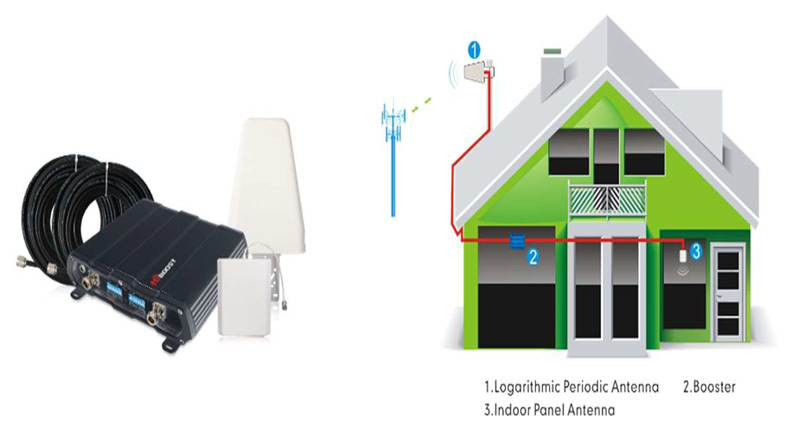 The RFAB-4G65-5B is a 65dB ultra-wide band cell phone signal booster for small houses including voice and data of 2G, 3G and 4G. With its High Gain, your cell phone signal can be improved 1-2 bars even in your basement. ALC LED Ora nge @ALC 1~5dB,Red @ALC 15~20dB,Fl a s hi ng Red @LED off a fter 5 sec. The RFAB-4G70-5B is an ultra-wide band booster that amplifies signals including voice and data of 2G and 3G and 4G. It can support up to 200 cell phones or air cards. With its High Gain, your cell phone signal can be improved 1-2 bars. ALC LED Orange @ALC 1~5dB,Red @ALC Orange @ALC 1~5dB,Red @ALC 15~20dB, Flashing Red @LED off after 5 s ec. The RFAB-25k72-5BPro Repeater is designed to improve cellular signals. It is designed to support coverage up to 3000 square meters and for clearer calls and higher data speed downloads. The RFAB-M4G50-5B is a 50dB Ultra-wide band cell phone signal booster that provides a complete solution for all vehicles. It can improve significantly 2G, 3G and 4G cell phone signal strength both voice and data especially in the poor signal area.r that amplifies signals including voice and data of 2G and 3G and 4G. It can support up to 200 cell phones or air cards. With its High Gain, your cell phone signal can be improved 1-2 bars. ALC LED Orange @ALC 1~5dB,Red @ALC 15~20dB,Flashing Red @LED off after 5 sec. Black Indoor Rubber Antenna for cellular and security applications.